Forgive the hyperbolic title. Do not take offense and read on before hating on me. Please note the post script for added justification for this inflammatory title, if you so feel. Thanks. Now on with the main show! Not the best known of neurologists, history has not been very kind to this amicable gentleman, who was, like many other physicians of his era, a very musically and artistically gifted person (1). His most significant contributions were in the field of the cerebral blood circulation which not only added volumes to the knowledge of the anatomy of the human body, but also furthered the study of Neurology as a discipline. He was, along with Alexander Kolisko, responsible for defining the anterior choroidal territory. (2)He is probably the most well known for the eponymous neurological sign which is characteristic for the presence of a lesion at the level of T10, but arguably, he had more significant contributions in the fields of cerebral localization and the blood supply of the brain. 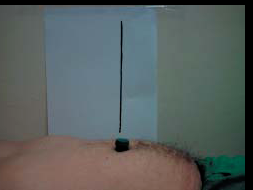 However, Beevor’s sign remains one of the most commonly used clinical tests to localize level of spinal trauma and his contributions in the other fields have become marginalized. His interest in neurology can be traced back to his training under famed neurologists of the day like Wilhelm Heinrich Erb (of Erb’s point and Erb’s palsy fame!) 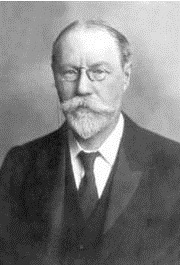 and (neuro)pathologist Julius Cohnheim. In 1898 he published a very definitive and authoritarian textbook on Neurology, titled Handbook on Diseases of the Nervous System. ‘When a patient sits up or raises the head from a recumbent position, the umbilicus is displaced toward the head. This is the result of paralysis of the inferior portion of the rectus abdominal muscle, so that the upper ﬁbres predominate pulling upwards the umbilicus’. No wonder this sign has kept his name alive! This highly respected physician worked with the best and most well known researchers in his day. Born to a highly respected surgeon, his father was a fellow of Royal College of Surgeons, and trained by a multitude of celebrity teachers, he was destined to be one of the heroes of clinical medicine. Yet, time, has marched on and Beevor has been relegated to the realms of obscurity, remembered by clinical romantics like me who dig up the names and faces behind the clinical signs that intrigue them. P.S. : Now I guess you know why I titled the post in this fashion? 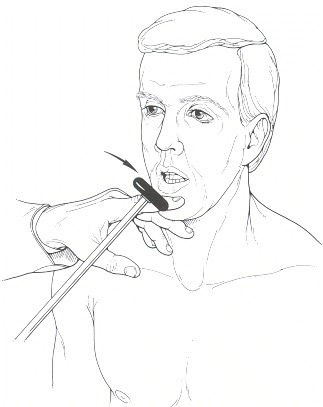 The sign = Beevor’s Sign, Bloody = Cerebral circulation and Jerk = The jaw jerk reflex. No disrespect intended. Like all marketing gimmicks, this name was made up to raise some eyebrows and get more people to read about a wonderful clinician who is now largely forgotten. 1. Brown GH: Lives of the Fellows of the Royal College of Physicians of London (1826–1925). London, Royal College of Physicians, 1984, vol 4, pp 325–326. 2. Beevor CE: Cerebral blood supply. Brain 1908; 30: 403–425. 3. 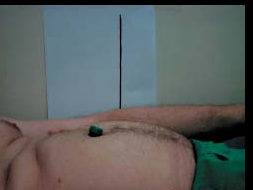 Awerbuch GI, Nigro MA: Beevor’s sign in facioscapulohumeral muscular dystrophy. Arch Neurol 1990; 47: 1208–1209. 5. Shahrizaila N, Wills AJ. Significance of Beevor’s sign in facioscapulohumeral dystrophy and other neuromuscular diseases. J Neurol Neurosurg Psychiatry 2005;76:869–870. 6. Eger K, Jordan B, Habermann S, Zierz S. Beevor’s sign in facioscapulohumeral dystrophy: an old sign with new implications. J Neurol. 2010;257:436-438. Tags: Clinical Signs, Clinics, History of Medicine, MedBlogging, Medical Education, Medical Research, Medical School, Medical Student, PostADay2011. Bookmark the permalink. Two minor typos in 2nd para – mot->most, clinica ->clinical. Anyways, I have never seen an actual jaw jerk. Have you? Oh well, that makes two of us. Oh, and by the way, just as a way of suggestion, why don’t you use your blog link (blogger allows OpenID) a your ID here when you comment instead of your FB page? I know I have fewer readers than you do, but maybe some of them will spill over? You have way more readers than me Pranab da!! For some reason the comment system automatically uses my FB account, will use the Blog link from now on. LOL. Is it so? I won’t complain then! But even if it ain’t so, I think its better to override the comment system and use the Blogger OpenID! Simple tricks to grab more eyeballs! Your title caught my attention alright!! And the non-medico me (I am always tempted to say pseudo – medico ;>) – read the entire thing with interest! Learned something new today (the jaw jerk) 🙂 . And I really think that if you get lots of student medicos to learn stuff like this – it is a great teaching tool… catchy titles!! At the great risk of you spending all your time here…. have you visited this? The National Library of Medicine’s History of Medicine Section? So your job is to take something from those “official and serious” pages… write catchy titles and teach kids about these things by making them lighter! Who knows – one day the NLM may fund you for this!! Mere muh me ghee shakkar! Nice read. Good share. I’m following.